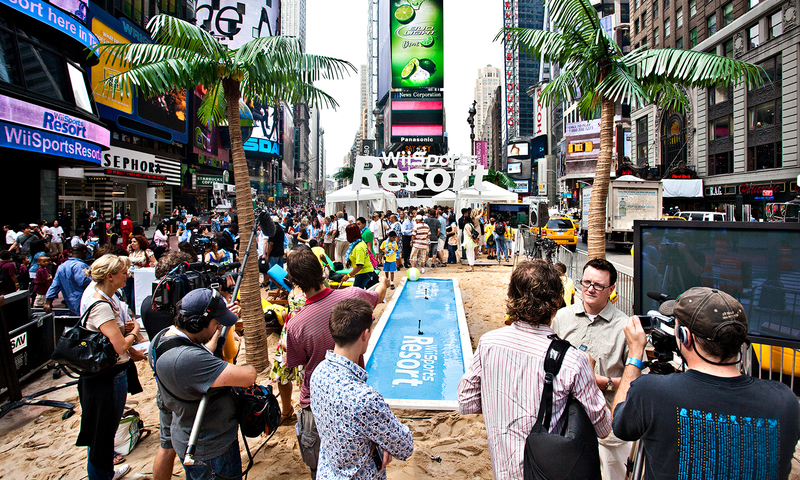 Getting New Yorkers to come out and play is fun. 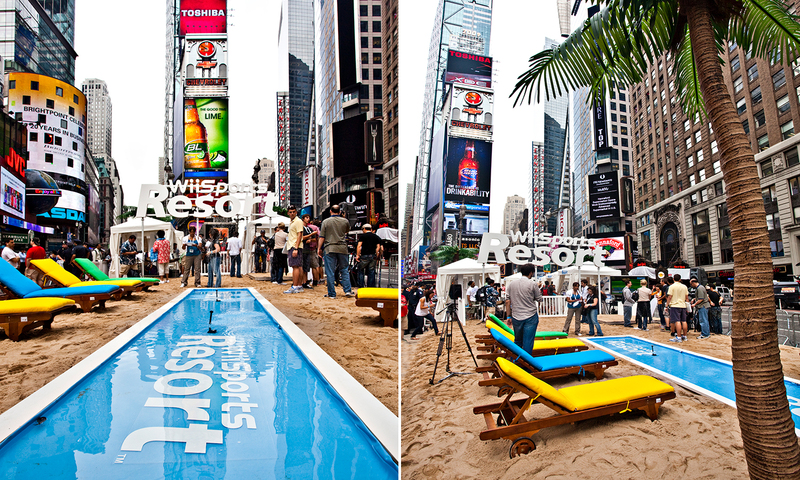 Clickspring created an environment that would transport visitors to the wii universe while allowing easy access to the surrounding area. 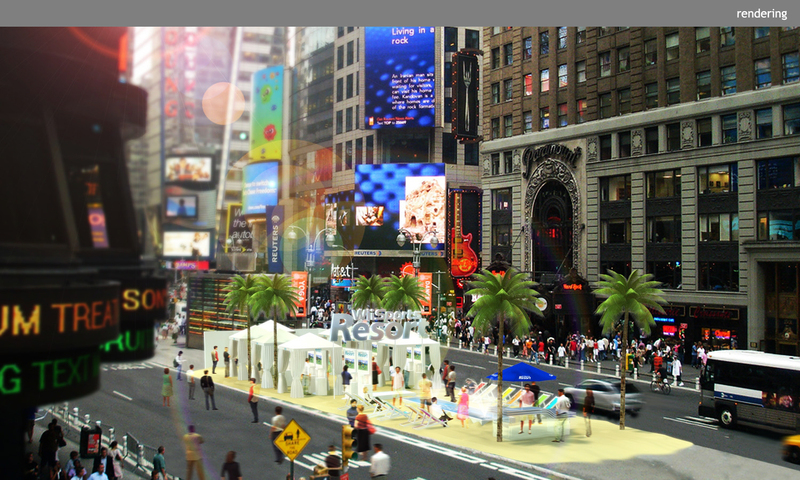 Complete with a sand beach, splash pool, steel bands, and palm trees, the launch was experienced by thousands of Times Square pedestrians. 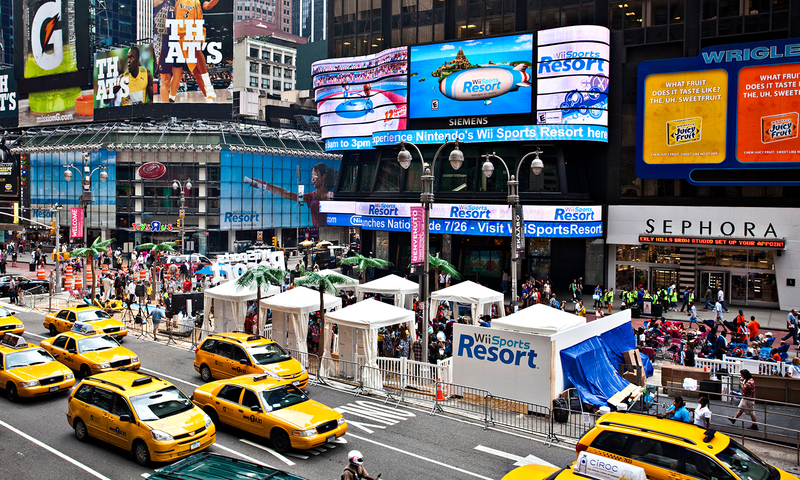 Blue flower leis worn by participants were later spotted in all five boroughs.